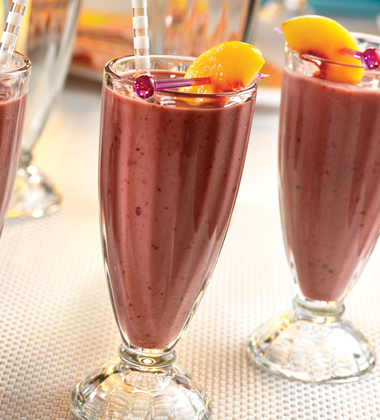 Mixed berries, banana, yogurt and V8 V-Fusion make this smoothie a customer favorite no matter what age group. frozen mixed berries (blueberries, raspberries, strawberries)	 59 oz. 3 qt. Other frozen fruits may be substituted including: peaches, nectarines, plums, cherries, mangoes, papaya, etc.